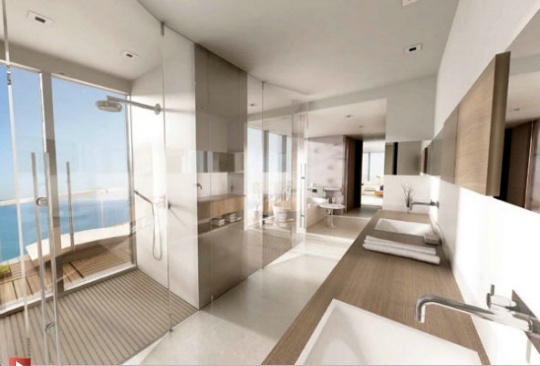 Regalia spacious residences with more than 7,600 square feet of livable space, 5,515 interior square feet, 2,100 exterior square feet, feature floor-to-ceiling glass walls framing the dramatic ocean and 360 degrees of unobstructed views. Living spaces are flooded with light and air from sunrise to sunset. 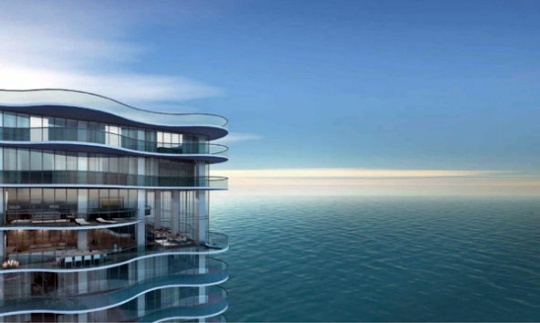 Regalia residence will have 360 degrees oceanfront spectacular views. The building will have exquisite tropical landscaping, classically inspired lobby with imported marble flooring and architect-designed articulated ceiling. Exquisitely professionally decorated common areas, including the use of Italian marble, rich wood and carpet. State of the art automated security system, 24-hour attendants. 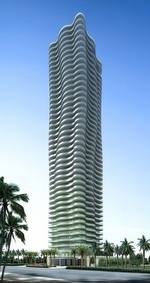 Design your custom home in the sky with 4 or 5 bedroom. With unparalleled comfort, the opulent Regalia Spa offers a visionary space to rejuvenate your body and relax your mind. Form, materials and filtered light calm the senses in a secluded, sophisticated space that evokes a Turkish-style hamam. State-of-the-art fitness facilities, couples sauna and individual treatment rooms complete the environment. A menu of private spa services, either within the spa or in the privacy of your home, is offered to residents. Regalias concierge will assist with arrangements for services tailored to fit your needs.